If you or anyone you know has experienced these issues, please call our toll free number (800) 862-7271 or visit our office to speak with a Law Center employee. The employee will provide you with information and resources to help you advocate for yourself. If your problem falls within our priorities and we have available resources, you will be referred to an attorney or advocate for representation. Anyone who has been denied services by the Law Center or is in any way unhappy with the Law Center's services or programs may file a grievance. For online information on your legal rights, please see our Resources page. Our funders require the Law Center to set priorities to determine the cases that we will accept. View the Law Center's current priorities. Law Center staff tell callers about their legal rights and suggest ways they can resolve their problems. We also tell people how they can contact other offices and agencies to get services. If you have a problem related to your disability that falls within our priorities, a Law Center attorney or advocate may accept your case for representation. The Law Center works to protect the rights of people with disabilities and to increase or improve available services. Our efforts often change laws, regulations, policies or practices. These changes can empower individuals with disabilities to be more independent and productive, and enable them to be included in their community and the workforce. 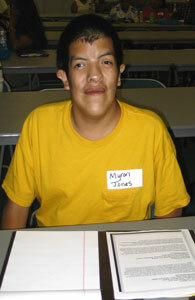 The Law Center provides training and education about the legal rights of people with disabilities. The audience for our trainings includes individuals with disabilities, their family members and service providers. Rights to basic support, personal care, therapy and health care - like Supplemental Security Income (SSI), In-Home Supportive Services, Medicare and Medicaid. Discrimination in housing, transportation, employment, and access to public and private programs and services. Abuse, neglect, and rights violations in a nursing home or other institution. Dignity, privacy, choice, and other basic rights. Mental health and support services. Services that promote independence -- such as supported living and family supports. Access to technology -- like communication devices and power wheelchairs. If we can't help you ourselves, we can try to refer you to other sources of help. Contact us to find out more.